Hotel Respati offers exclusive access to the beach featuring chairs and umbrellas, where you can sip your favorite drink and enjoy the serene views. The air conditioned beachfront rooms are equipped with comfortable beds, and the beautiful outdoor gardens are immaculately maintained. The friendly staff greets you with a warm smile, thus offering you a memorable stay at Hotel Respati. 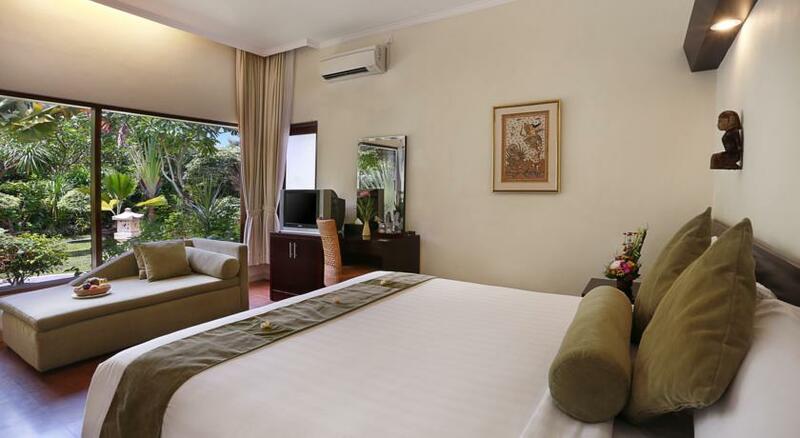 Respati Beach Hotel Sanur, a 3-star property, is located in the heart of Sanur. It blends with the quiet lifestyle of the town. It is great for couples or families. It is located on the beach which makes it an amazing choice for all travelers. It features an outdoor pool and a beachside restaurant for the guests. 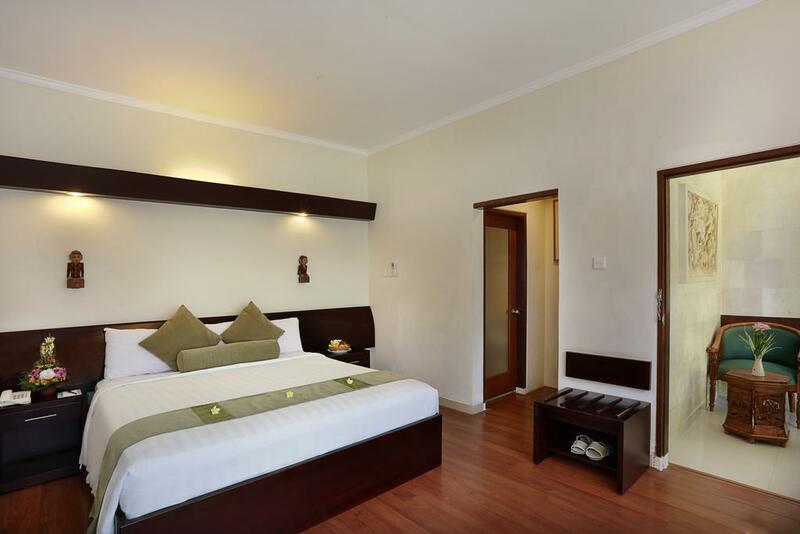 The beach hotel also boasts of its clean design and modern-day amenities. The staff is friendly and speaks Indonesian and English. It offers two types of accommodation options - access to other guests and private. It maintains an on-site restaurant and bar. 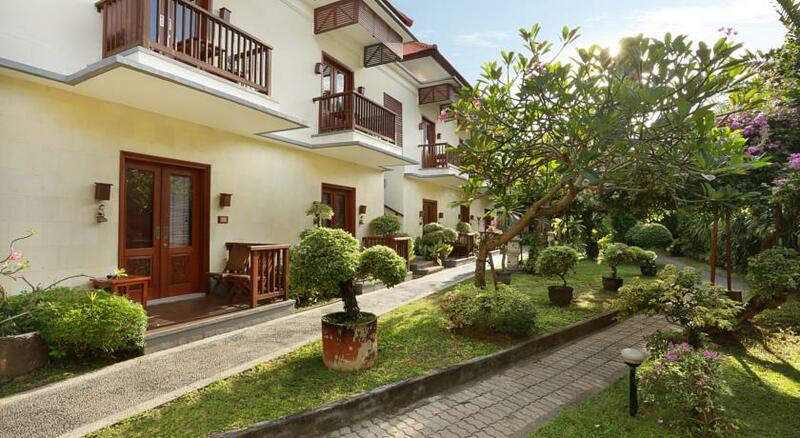 Its proximity to the nearby tourist attractions like Sindhu Market, Batu Jimbar Caf and Le Mayeur Museum makes it the right choice to explore Sanur. The airport is about half an hour away from the hotel. Enjoy various cuisines at the on-site restaurant. Get massages on request at Respati Beach Hotel Sanur. 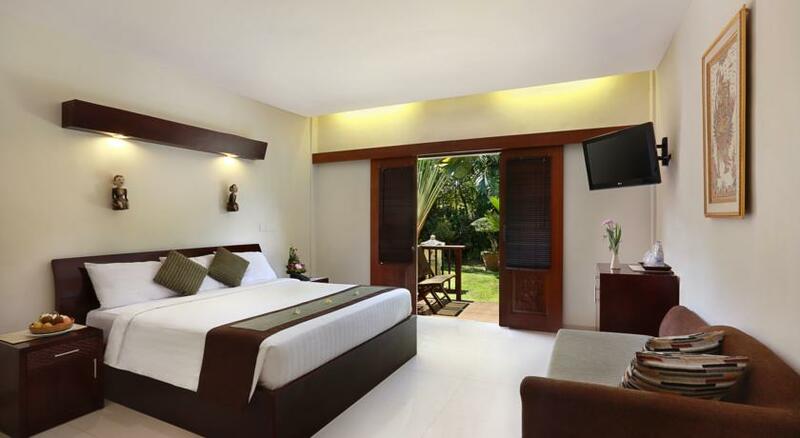 Want best Sanur Packages with this Hotel? 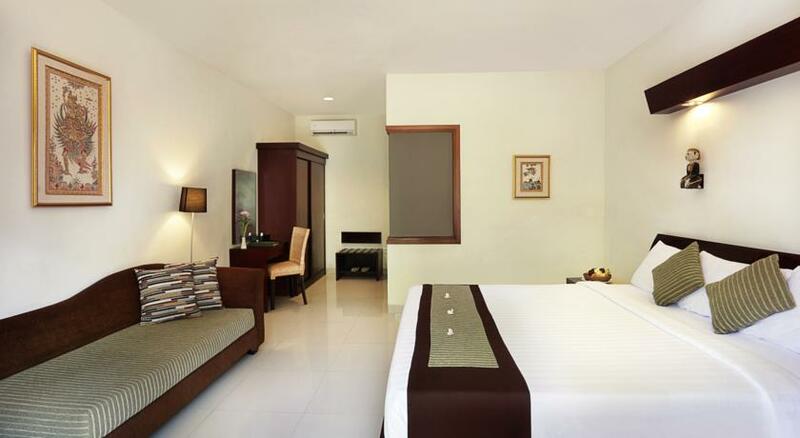 Respati Beach Hotel Sanur has a total of 35 rooms which promise luxury and comfort to all guests. All of the rooms have private balconies or terrace, satellite TV, safe deposit box, air conditioning and shower. They have mini-bars, slippers, umbrellas and hair dryers. The Deluxe Bungalows have bathtubs as well. Some of them have sofas as well. 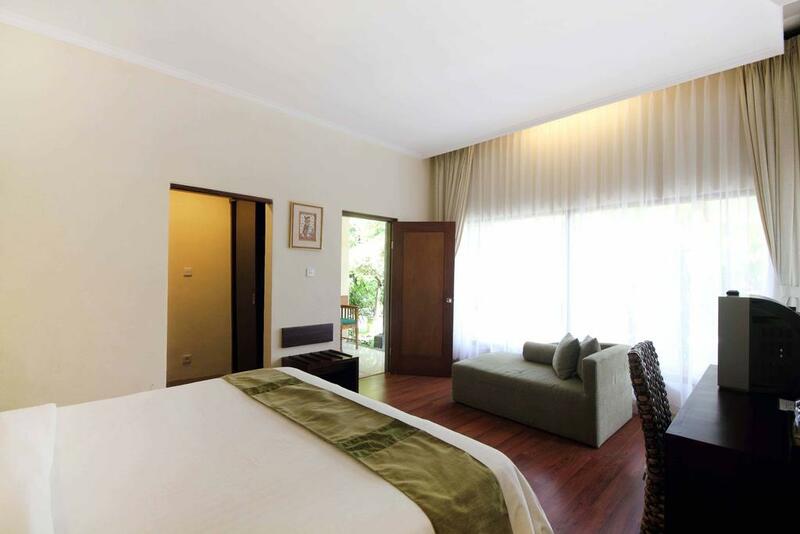 Guests can ask for an additional bed in the Deluxe Room, Deluxe Bungalow and Deluxe Pool View categories. Guests need to keep in mind that a surcharge on room bookings is applied from 1st of July to 31st of August and 23rd of December to 5th January. Respati Beach Hotel Sanur has an outdoor pool, sun loungers and massage facilities. It also features a restaurant and bar within the hotel premises for the convenience of the guests. 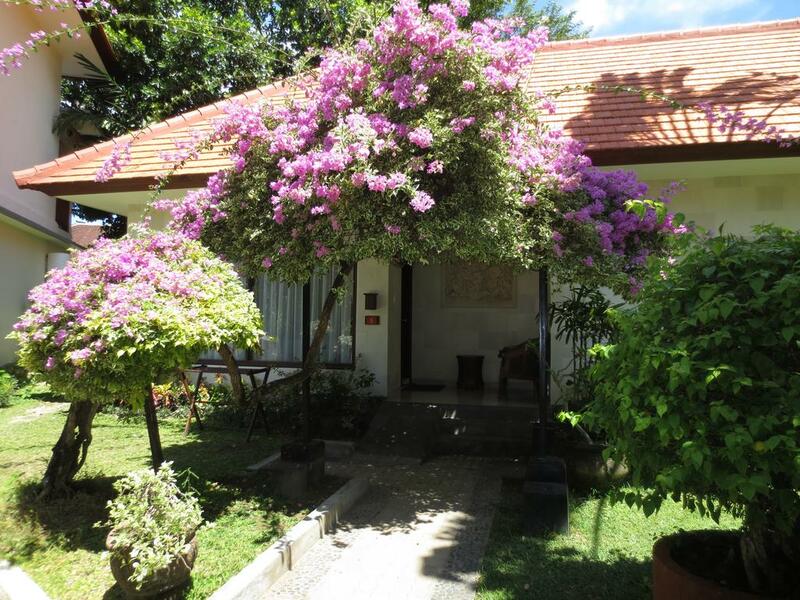 Besides, the hotel maintains a free parking area, 24-hour front desk and daily maid service. All the hotel rooms are equipped with modern amenities and complimentary wi-fi. It also offers an airport shuttle, ironing and dry cleaning services at an additional charge. Guests can also make use of the private beach area, bike rentals, postal services and doctor on call facilities. 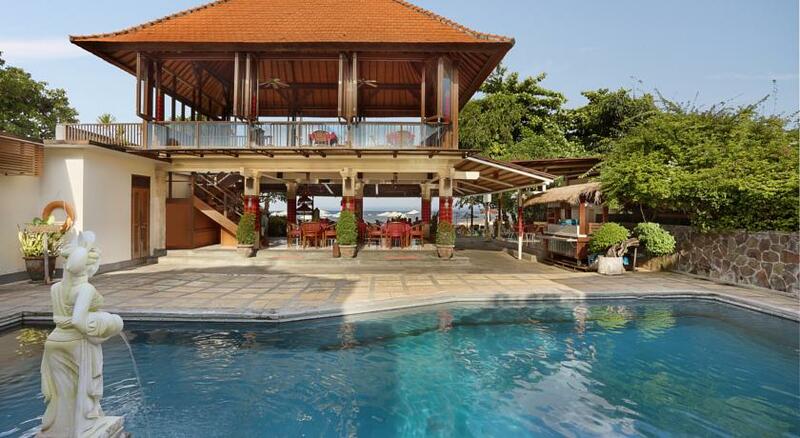 Respati Beach Hotel Sanur has an on-site restaurant and bar called Waroeng Nelajan. It serves healthy fresh seafood, Indonesian and Western dishes. Guests can have all three meals here. 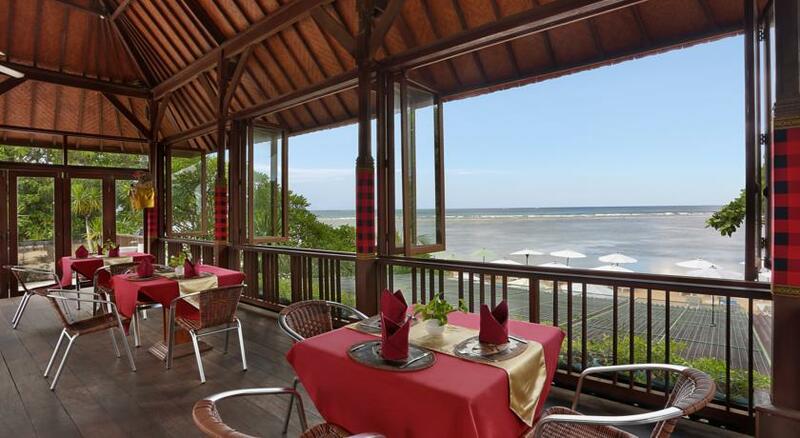 The beachfront restaurant offers views of Penida, Ceningan and Lembongan islands as well as the sacred Mountain Gunung Agung. Couples can have a romantic evening here with the sound of waves hitting the beach, adding to the soothing experience of spending quality time together. The restaurant has both buffet and a la carte options and prepares Chinese and Asian dishes as well. 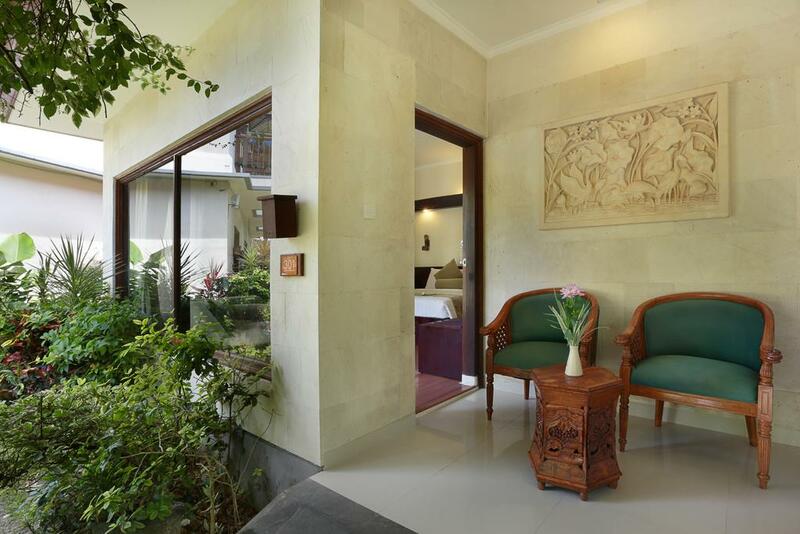 Keeping in mind the rich history of Sanur, the hotel is a blend of traditional and modern design. Guests are sure to make new friends here. 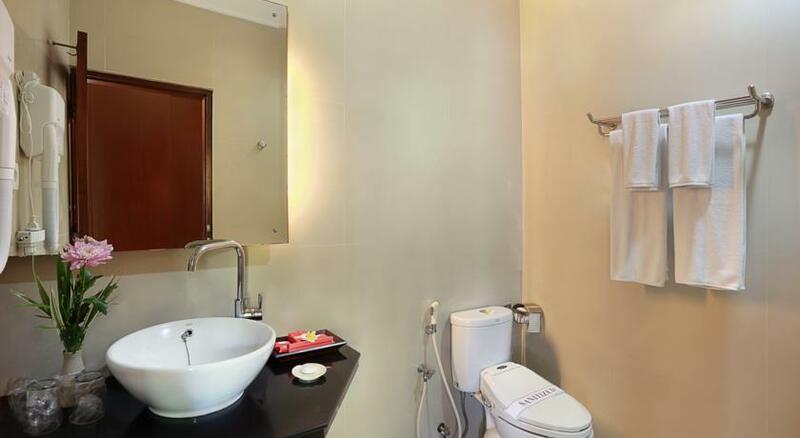 Respati Beach Hotel Sanur has a lot to offer to all kinds of travelers. Its location on the beach makes it an amazing vacation destination. Not only the beach, but there is a lot that guests can do around the hotel. 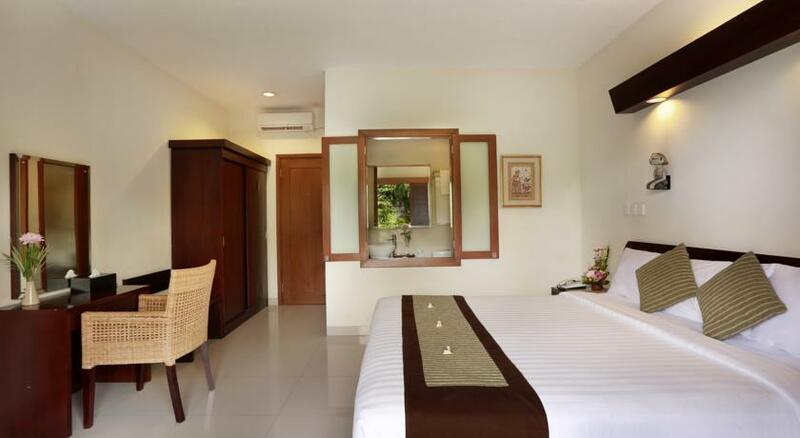 Respati Beach Hotel Sanur is around 15 km from Ngurah Rai International Airport. Does this hotel offer pick-up service from the airport? Yes, the hotel provides airport shuttle services to its guests at an additional charge. Guests can swim in the outdoor pool, get massages on request, go to the beach or just enjoy the free wi-fi in the rooms. They can also rent bikes and explore the town on their own. They can sign up for canoeing as well. The Sindu Market is at walking distance from the hotel. Le Mayeur Museum is about 2 km away. Can guests get baby cots at the hotel? Yes, guests can ask for baby cots free of charge. Does the restaurant offer international cuisines? Little India and Gateway of India Sanur are some of the popular Indian restaurants near Respati Beach Hotel Sanur. 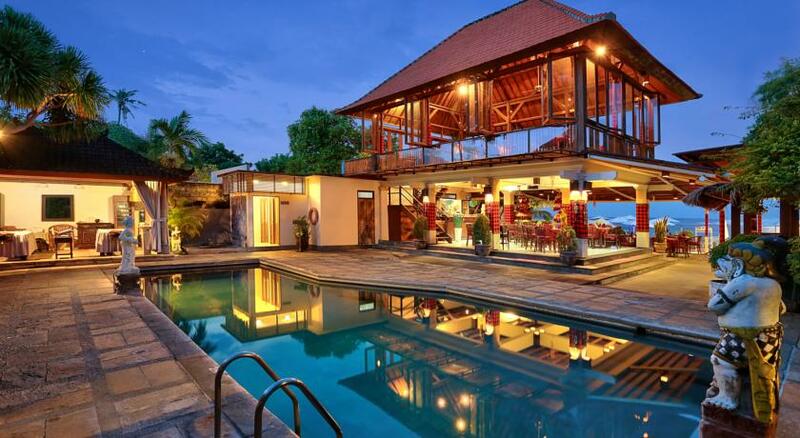 Sanur is a peaceful location with beautiful beaches and panoramic views. 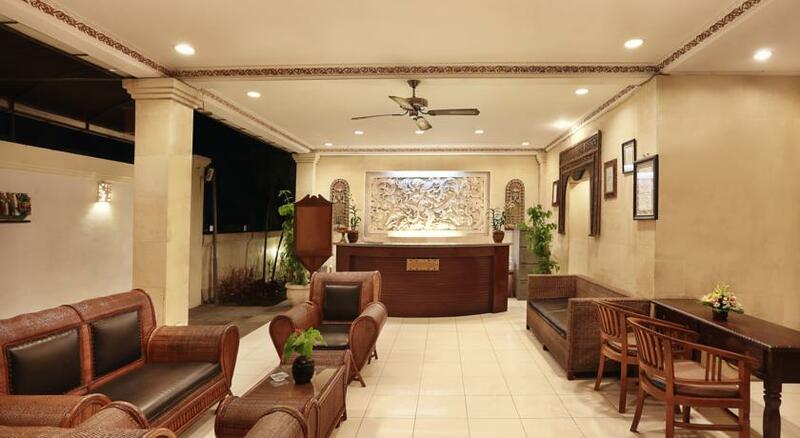 Respati Beach Hotel Sanur is a great representation of Sanur culture. It fuses together a modern and traditional design in a seamless manner. With a host of facilities and services, the hotel can fulfil the needs of all travelers. The staff is welcoming and ready to cater to all requests. The hotel is also great for families with babies as it provides baby cots at no extra charge. The swimming pool has shaded and non-shaded areas at the disposal of the guests. Couples can have an amazing experience sitting on the beach and listening to the waves crash. 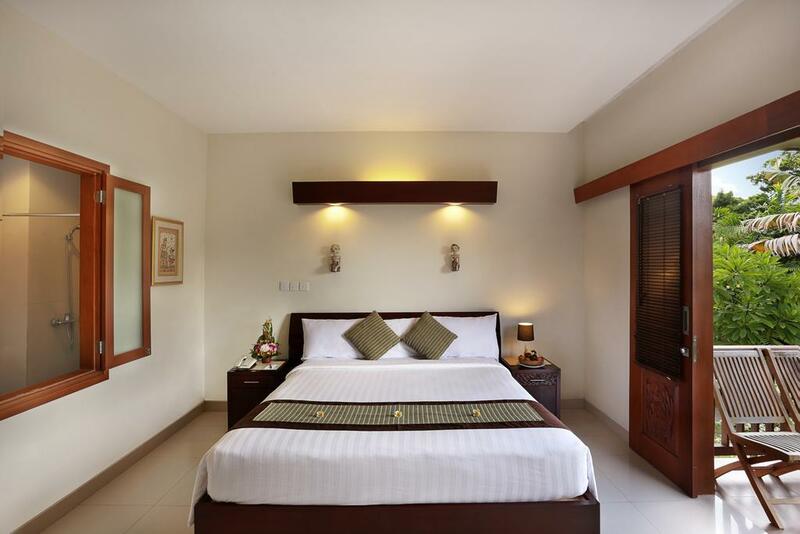 Respati Beach Hotel Sanur is located in the heart of the town which means that the tourist attractions are all nearby. Guests can visit the famous Le Mayeur Museum or have a gala of a time at Jazz Grill & Pub. The restaurant is another major plus point of the hotel. It opens to the beach and offers amazing views of the nearby islands.